Coco’s Penalty Shoot-out. Games online. Watch the red arrow so that you can shoot a penalty. 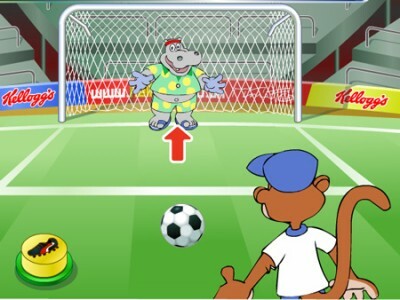 Push the yellow button on the left to gain power for the shot and click it again to kick the ball.